What began as an enjoyable night out with friends can quickly turn ugly when you are pulled over for Drunk Driving in New Castle County, Delaware. 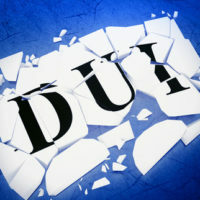 A conviction for DUI can have significant, long­ term effects on your life, so your actions when apprehended by law enforcement will be critical. You do not need to further complicate your situation as you are interacting with the police who apprehend you. With some tips on how to conduct yourself when pulled over for DUI, you stand a better chance of a favorable resolution to your case. Of course, the best advice is not to drink and drive. But if you find yourself in this situation, here are some suggestions on what to do after you have pulled to the side of the road safely. You are legally required to provide your license and registration, but you do not need to volunteer any other statements in response to an officer’s questioning. It is especially important to avoid answering inquiries about where you had been or what you were doing before you were detained. Providing this information may lead to probable cause for DUI and an immediate arrest. Your best response is to say that you are uncomfortable answering questions without the presence of your attorney. Many Delaware motorists assume they have no choice but to submit a breathalyzer test when law enforcement officers request one. If you are pulled over for DUI, you can refuse this informal, preliminary chemical exam. You have the right to decline a breath test while on the scene, before you have been arrested. You are not legally required to submit to a blood, breath, or urine test once you are in custody or under arrest for DUI, unless the court has issued a warrant for you to submit to a blood test. Likewise, you are not legally required to submit to a field sobriety test and you do not automatically lose your license by refusing to take the test. However, Delaware law allows police to take you to the station for testing if there is probable cause to believe that you are under the influence of drugs or alcohol. However, you do not have to consent to a breath or blood test. You must cooperate with blood testing only if a court has issued a search warrant authorizing a blood test. The police may advise you that refusal to take the test may result in a loss of driving privileges, but that is only true if the officer has complied with certain statutory procedures and has probable cause to believe that you are impaired. In general, the best advice is to politely refuse to consent to a blood or breath test even if you are threatened by the officer and even if the officer tells you that he will release you if you pass the test. Many times, an officer will presume that you have been drinking simply by your appearance and demeanor. Keep control over your nerves and hand over the necessary documents calmly, and show officers the respect they deserve. You cannot risk making things worse by becoming argumentative or aggressive toward law enforcement. Even if you are angry or frustrated, you should save your emotional response for some other time. Understand that if you admit drinking an alcoholic beverage, the officer will undertake a DUI investigation. Understand that the officer is making observations about your speech, coordination, behavior and ability to follow instructions. Many officers are equipped with body cams and mobile video recorders, so it is likely that the investigation will be recorded. Even if you have already been charged with Drunk Driving, it is never too late to retain an experienced DUI attorney to represent your interests. You are innocent until proven guilty and there may be defenses to the prosecutor’s case against you. It is critical to retain a seasoned, compassionate lawyer who understands the law and has an extensive experience handling DUI cases. For more information on Drunk Driving charges, please contact the office of Michael W. Modica in Wilmington, DE. Our legal team can answer your questions or schedule a free, no-obligations consultation to discuss your options.